Thank you for visiting American Hometown Services. 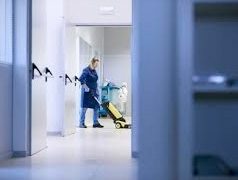 We are a full service janitorial, building maintenance and house cleaning company, dedicated to bringing commercial, industrial and residential custom cleaning solutions to homes and different types of businesses and facilities throughout Illinois, Iowa and Missouri. Headquartered in Quincy Illinois, we are strategically located to better serve clients in various locations and deliver timely cleaning services to fit each home and businesses’ unique requirements. American Hometown Services is more than qualified and is equipped with the necessary skilled personnel, heavy duty equipment, and environmentally friendly yet effective cleaning and deodorizing solutions to handle any size building or facility. We are licensed, bonded and have up to $1,000,000 in liability insurance for your convenience, so you do not have to worry when we are on the job. When you choose American Hometown Services to keep your home or facility cleaned and maintained, you’ll find a partner committed to providing superior services tailored to your specific requirements. Whether you need one-time specialized service, extensive periodic services or an ongoing maintenance program, look to American Hometown Services as your 24/7, 365 days a year full service provider. At Hometown American Services, we focus on providing the best reliable and detailed professional cleaning services to our clients. Our management team and cleaning staff are committed to total customer satisfaction. 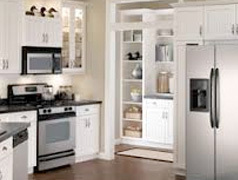 Contact us and discover the cleaning difference we can make to your home or business. 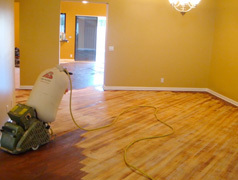 Contact American Hometown Services today to obtain a free competitive quote on your next cleaning project. 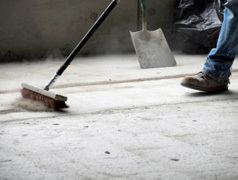 In addition to total building cleaning, we also offer many specialty services such as construction clean up, minor building repairs, interior and exterior painting, pressure washing, concrete sealing and water and fire damage clean up. 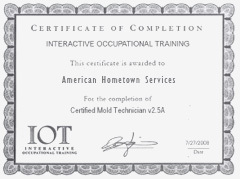 We are certified in mold removal and strongly recommend drying water damaged areas and items within 24-48 hours to prevent mold growth. When you need emergency service, call American Hometown Services. 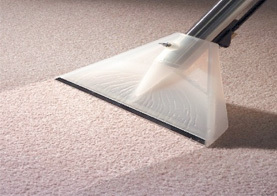 We specialize in both residential and commercial carpet cleaning. We use the hot water extraction method using high powered truck mounted equipment for deep cleaning and minimum drying time. 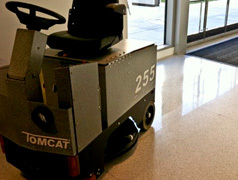 And we have highly trained technicians that use environmentally friendly cleaning solutions to assist in removing soil, dust, pollutants, bacteria and allergens from carpeting and rugs, creating a healthier indoor environment for everyone in your living and working space; your family, pets, employees and customers. 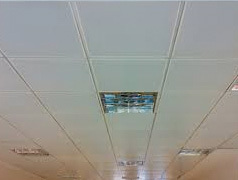 WHY USE US FOR AIR DUCT CLEANING? WHY USE US FOR DRYER VENT CLEANING? 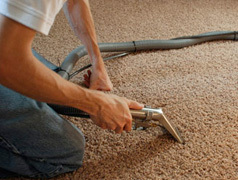 Why use American Hometown Services for carpet cleaning? 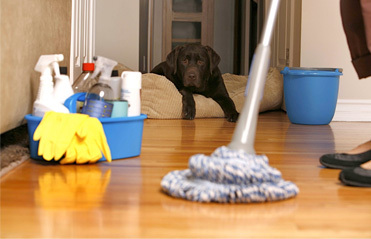 Cleaning for you in Quincy, IL and Hannibal, MO! 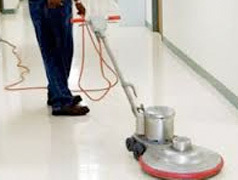 American Hometown Services Authorized Cleaning Professional is part of an independent international network of professional cleaners who are dedicated to honest, and quality oriented carpet cleaning without compromising on cleaning performance. Your satisfaction is our guarantee. © 2014 American Hometown Services. All rights reserved.